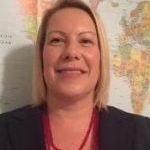 Laura Wellington Evans is responsible for business development with the Global Forwarding Division at XPO. She assists companies of all sizes with their supply chain, exporting and importing logistics needs Worldwide including customs clearance, warehousing/distribution services and documentation compliance. She is a member of the Tampa Bay Organization of Women in International Trade (TBOWIT) and The Council of Supply Chain Management Professionals (CSCMP).